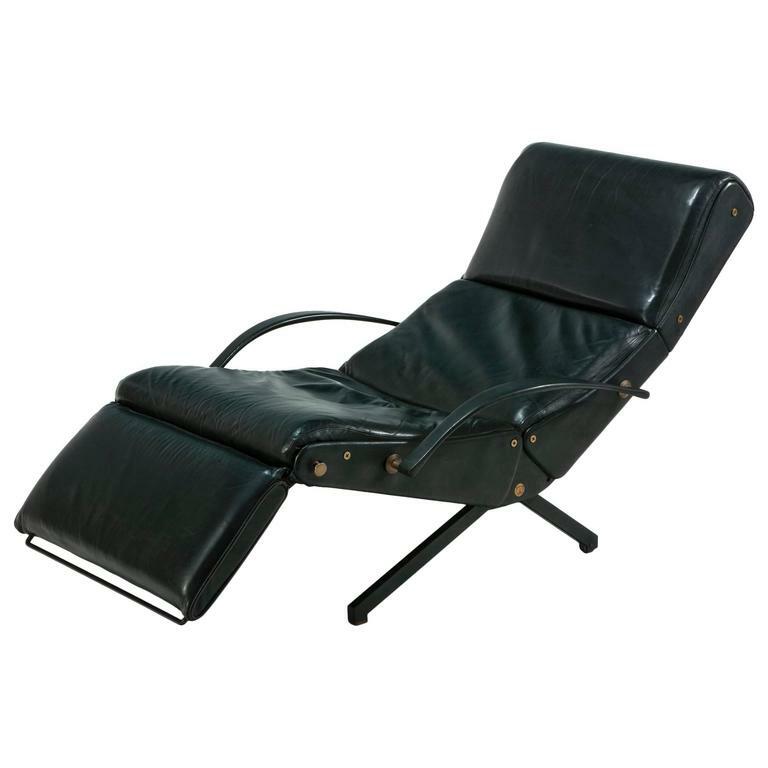 Classic lounge chair Model 'P40' by Osvaldo Borsani for Tecno. Upholstered in original black leather, nicely aged but in very good condition. 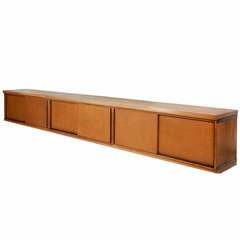 The base is black lacquered metal with brass detail. Wear to the original upholstery consistent with age. 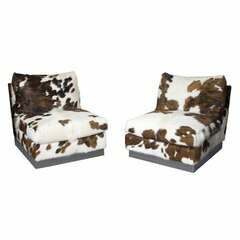 Pair of simple and stylish chairs with simple steel bases, re upholstered in cowskin. These chairs may be purchased individually. Please enquire. 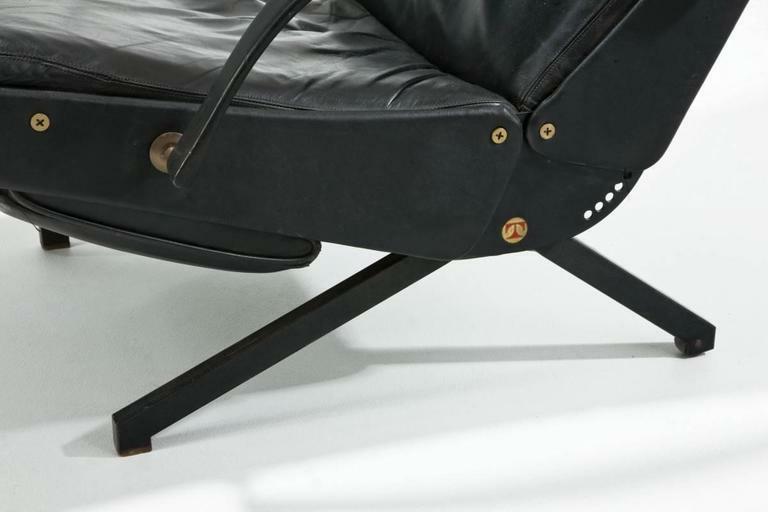 Reclining lounge chair designed by Osvaldo Borsani. This is the first edition, which was produced between 1956 and circa 1959. Great vintage condition with labels, etc. Lounge chair P40 by Osvaldo Borsani for Tecno. 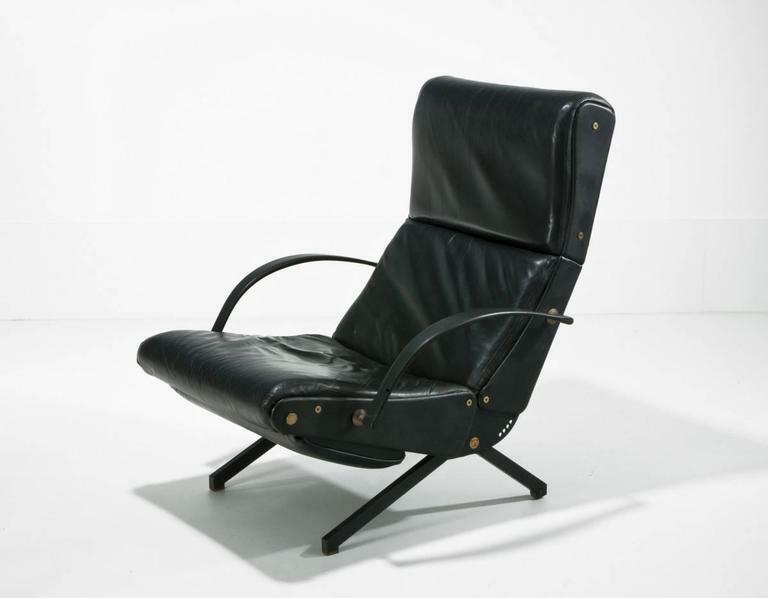 First edition Osvaldo Borsani P40 lounge chair for Tecno, Italy Reupholstered in a black Tonus 4 from Kvadrat.